This is a short guide on resetting the HP Procurve 1700/1800 switches back to factory default settings. This will also reset the switch back to the default IP of 192.168.2.10. 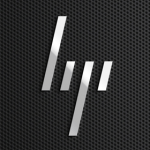 You can reset the HP Procurve switch configuration only if you have a physical access to the device. In case you reset the configuration, you will completely clear all changes to the switch settings that has been made by the user. This will reset the Ethernet port settings, VLAN, Spanning Tree etc. After that, you have to configure the switch from the beginning. 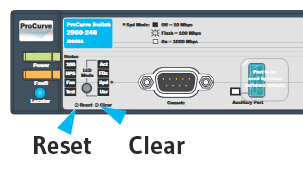 How to Perform HP Procurve Switch Reset? 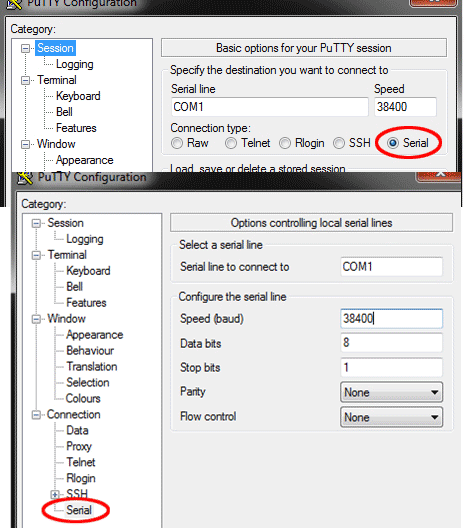 On the newer models of HP Procurve (Aruba) switches (2610, 2650, 2900), the above method of resetting configuration to the default settings doesn’t work, you need to perform that in a different way. On the front panel of new switches there are two small buttons which we’ll use: Reset and Clear. Your HP switch configuration is now reset. You can connect to the switch using telnet. Type setup to start the initial setup procedure. 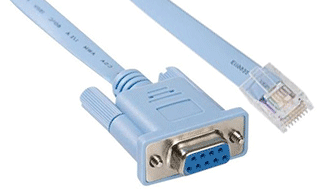 Using this cable, connect to the Console port on the switch (looks similar to Ethernet port). If your computer/laptop does not have a COM port, use a separate USB to Serial adapter. Configuration will be deleted and device rebooted, continue [y/n]? After executing this command, you switch reboot and replace the current startup and running config with the factory-default settings. How to Reset an Older HP Procurve Switch Models? Power off your HP procurve 1700/1800 switch by pulling the power adapter plug from the back of the unit. Power the switch back on and let it fully boot up. This will take around 30 seconds. Once you see the lights stop blinking you will know that it has fully recycled. Power the switch back off, unplug the ethernet cable and then power the switch back on. The switch should now be fully reset and back to the factory default settings and IP of: 192.168.2.10.